The Social Welfare and Health Care reform has been one of the failures of the previous government, and is certainly one of the first dossiers on the table of the new government, and perhaps the most important of the next years. 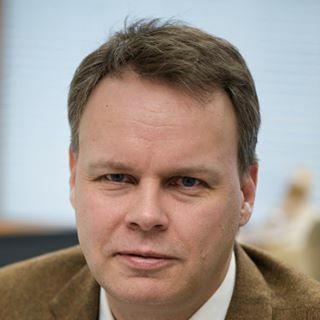 In order to know better about the objectives and the risks of the reform, we have asked Juho Saari, Professor at the University of Eastern Finland, his views about the reform, as he is one of the leading experts on the Finnish social system and has been following closely the preparation of the reform. What is this reform about? If you go very long back into history, actually, what is happening is that there will be a merge of two lines of policy-making and thinking. On one hand, we have had, since the 1960s, a public health approach based on the municipality-based services, and covering social health and, to some extent, housing services. On the other hand, we have had sickness insurance-type services, and they have been expanded to cover, also, occupational health. And the system that was related to the municipalities was reformed in the 1990s, so that before that, it was based on the so-called “earmarked” contributions and services, so that the government gave grants to the municipalities on the basis of number of different service units they had. After that, in 1993 and 1996 reforms, it changed, so that it was based on the structural characteristics of the community—number of aging persons, for example, or number of sick persons in the community, and so on. And the municipalities got resources on this basis. On the other hand, at the same time, the sickness insurance part that covered both sickness insurance itself, but also related services that you can get, subsidized services, was expanding in occupational health. What was happening is that it started as some kind of very tiny thing, that you can have your health checked by the services provided by your employer, which in turn was subsidized by social insurance institutions. But it has rapidly expanded, so that, to put it very briefly, today if you are working, and you have a steady work contract, you never use municipality services for health care, but private service providers (in some cases, municipalities’ health services may act as an occupational health unit). So, we have two different systems. On the one hand, we have the services provided by municipalities, and then we have occupational health. And this system is exceptionally unequal, in the way that people with less resources are using these services from the municipalities, provided by municipalities, and everybody else is using occupational health, with the exception of specialized health services that are provided at the regional level, and they cover both sides. But the basic health services, you get in two different systems. What was done by the previous government? This issue for the government has been twofold. What is the most efficient way to deal with municipality-provided services that employ people? Most people don’t necessarily know that we employ thousands and thousands of people, 450 000, in all the services provided by the municipalities. And how do you organize them in a way that they provide the same level of access in different parts of Finland, so that there are no differences between the municipalities and within municipalities, in different population groups? And on the other hand, how can we integrate occupational health into this package? And the politicians decided to sort out, first, this municipality issue, and then deal secondly with occupational health. And what they tried to do first is that they tried to force the municipalities to merge, so that the municipalities themselves would have been bigger and better capable in providing these services, health and social services. But they mainly failed. Significant proportion of smaller municipalities refused to merge, and they started to provide services in different models that were linking municipalities together, but they created what is called in Finland “hallintohimmelit” or the very complex administrative structures. And there was no clear effectiveness of impact, something that you can measure, showing that it is a more efficient way to do things. The politicians continued this process, and they tried to force municipalities to merge and create larger units, until 2014. I think it was February or March when the leaders of the four largest parties—and they also invited the smaller ones, but in fact four large parties decided that this doesn’t work. This simply doesn’t work. We are creating a messy system that provides none of those benefits that are expected. Then, what they did was that they decided simply to create five large units in Finland, five units that would provide these services. It would be huge, if you started from the old system that we had, 300 and something municipalities, now we would have 5 units. And within those five units, there would be a limited number of regional service providers that would do the rest. And the municipalities themselves would probably be responsible for some local social service, housing, employment, construction—within those municipalities. Also, civil society organizations would responsible for services and diaconal work. When they tried to implement this plan, they very shortly afterwards realized that there will be huge constitutional issues here. And two major issues are, first, how these services would be funded. If the municipalities are responsible for funding these huge regional organizations, how can you allocate burdens to different municipalities? For example, if there is one municipality that has been doing things very well until recently, but has a very aging population, providing services cheaply, but has a very aging population, what kind of ratio or metric would you use? They decided to use the so-called “capitalization principle,” basically saying that’s the population structure that determines the money to be paid, linked with some additional weights for sickness. But it led to significant changes, and it was creating penalties for those communities that have been doing things very well until recently. Of course, if you have done things badly, in a cost-ineffective way, you would benefit from this. And after some political discussion, the Constitutional Committee of the Finnish Parliament decided that this is unconstitutional. The second issue is how you can organize the political supervision of this kind of huge regional unit. Is it so that the municipalities themselves send one representative to the central council? Or is it better to have different weights, that bigger municipalities would have more representatives than the small ones? And the system they decided to create turned out to be unconstitutional, also, namely, it turned out that a huge number of small municipalities would have been only paying, and they didn’t have any control over the costs and administration, because the bigger communities with the bigger populations would have had most of the votes in that council, what the rate would have been. And beside this, the problem there is that, because Finland is politically a much differentiated society, most of those regions would have been controlled by one or two parties. At Helsinki district, they would have been Social Democrats, the Greens, and the coalition party, whereas in northern and eastern and some western parts, it would have been Central Party. So, the political power would have concentrated, because most municipalities would have sent a representative representing one party only, one representative. They’re sending their biggest party, because to the Central Party, it would have been the largest in most communities. They would have had a significant majority, larger than their proportional percent of the votes in that higher council, or whatever it’s called. So, basically, for these two reasons, the way the costs were counted, and how the political representation was organized, it failed. What happened in the last days of this Parliament was that they decided to try to sort out that, “OK, if we can’t do this, and if we can’t do that, let’s try to create some kind of transition period, so that the costs in municipalities would change smoothly for a period of five years, and also some representational problems would have been solved with some technical changes.” So, after they had made these considerations, and this is very exceptional, the Committee for Social and Health Affairs of the Parliament was drafting the law. Usually, the ministries do this kind of work. Within this Committee for Social and Health Affairs, they made a proposal, and finally the Constitutional Committee said that the changes were not sufficient, and also they have been pointing out that it was proposed that the Council of the State, basically, the Ministers, should deal with these organizational issues, which was not a way to solve constitutional issues. They said that there are no legal issues sufficiently serious that would allow that kind of exceptional road to be used. That was basically the end of the story for the time being. But what is right now happening is that, instead of expecting or waiting for the government to make necessary legal decisions, or a proposal, the municipalities themselves around Finland have decided to create their own organizational structures. So, they are working now, trying to create some kind of regional compromises. In Eastern Finland, they have gone quite far away down that road, and also in Western Finland. There are some parts of Finland that are not able to proceed at all, but they have decided, as a kind of pre-emptive act, to proceed. And as a counter-effect to that element, some municipalities, mainly much smaller ones, have decided to outsource all of the social and health services, besides the head of the health services and some social workers, to private companies. And they make 10 or 20 years’ contract, so that whatever happens around them, they have a binding contract that those services will be available in that particular municipality for 20 years, instead of that those services should be available in the central community, 40 or 50 kilometres away. And that’s the problem, both legally and politically, because if there are two communities, and one has decided to outsource everything, and they will have those services for 20 years or so, and there is an identical community in the same district without this kind of contract, and they will lose the services because the bigger community, central community, decides to organize them in a more “efficient” way at the central community. It is a kind of internal break emerging in the system in this whole reform process. What will the next government do? We honestly don’t know what will happen. But the Central Party, which is likely to be the leading party of the next government, has decided to promote the so-called “regional model,” based on a more centralized system, so that it has either the right to tax, or the grants from the government will go to that regional unit that would provide services. And then, there will be, also, some kind of regional representation. The problem with this model is that most of these regional units are led by the Central Party, and other parties are not too happy with that. And the role of municipalities would be extremely tiny after that. It’s basically educational services, construction services, and things like that. Another thing that is absolutely central here is the right to choose the service provider. Most service providers in all of these models are likely to be municipalities. We don’t know yet whether there will be some kind of contract between the regional central agency and local health centre, or how things are run. But the National Coalition Party is strongly pointing out that these services could be provided by private providers. So, instead of making a contract between a regional agency and local municipality and/or its social and health centre, there should be some kind of open tender system that there could be a municipality service providers, or private companies providing the same service. Or alternatively, instead of there being that kind of unit, it could be different sectors, for example, tenders for services for ageing people. Instead of having a whole unit, it could be different services for children, services for disabled persons, for persons with alcohol problems, and so on. And the question here that is most crucial is how large the big tenders should be. Namely, if they are very small, local companies can compete. You can provide services in two, three, or four different places. If they are big, there are only a handful of companies, actually three or four companies in Finland that can provide these services. In your view, how could the new government find a solution? There are two things that are interlinked, but need to be solved at the same time. The one that has to be solved, in all cases, is how you can create the link between those services that are within this big service complex and those services that are outside of it. Namely, when we are linking social and health services together, we are delinking between social and health services and housing, employment, civil society, and the church that are important actors. And when the municipalities, now, are organizing these services, there are well-established ways to deal with different issues—for example, with long-term unemployment, and so on and so on. In the future, there is a border between services for long-term unemployed and this social and health complex. So, this is something that I have been following very carefully, and actually been part of some processes around it. Another one is that, regardless of the institutional form or governance form that they are going to create, the most important practical thing is that you are able to allocate services from specialised services to the basic services. Currently, we have a system where specialised services, especially in health care, are functioning very well, partly because they are very well-resourced. But there has been no same kind of political pressure to develop those basic health and social services, partly because the upper-class or middle-class people, or the persons with a steady position in working life, are using occupational health, so private providers. So, how to create incentives so that specialised services are used less, and more services are used for these basic health and social services, including occupational health? And also, what we are creating now is the system that is based on the corrective transfers and services, in the way that we will create specialised services that provide good operation in heart surgery, or the foster child care, and so on. But there is currently no plan for incentives that would promote preventive policies. And if we allow private providers to provide specialised basic health services or social services, on the basis of contracts, they have no incentives whatsoever to provide preventive services that actually lower demand for their services. If people clean their teeth better, there’s no need for a dentist. But of course, private dentists may want to see as many holes in the people’s mouth as possible. And the third technical issue if we talk about practices and no more institutional structures is that every day there are very strong indications that we are not making social and health service reform, but we are making health reform, plus some social issues. So, what is going on is that the health is the major pull of everything, and we consider social issues from the point of view of health. For example, in child care, or child protection services, it is quite common to try to find different psychiatric diagnoses for children in those services, although we are actually dealing with the poor economic condition of the parents, for example, that causes stress for children. But if we start to medicalise everything, we probably are making a serious mistake, because we consider social problems as health issues. We individualise social issues. And that’s something wrong. And what about the administrative structure? I would say to the politicians that whatever decision is made, it is better than the current situation, because we are now facing a cul-de-sac in all funding, and also in different ways to provide services. So, better luck with any plan that you are going to make. And if you are not able to make a democratic process that is satisfactory, perhaps some kind of board of wise men, highly-qualified experts with knowledge of interest, would be probably a good way to solve this problem, as it is done for example in pensions’ reforms. Sometimes that kind of un-democratic way produces more democratic outcomes. And there are some remaining issues that perhaps I want to clarify a little bit. What will happen is that, if the government is not able to make a decent solution for the whole of Finland, regional actors will do the job, and there will be a huge variation of solutions in different parts of Finland. And then, different kinds of systems of storing data and information services, and so on—we will create a mess, in that sense. But regional actors also know that they have to do something, because the cost expansion is so strong in the future, so there is a serious risk of national incoherence. And the second one is that we already witnessed the fact that there is a strong imbalance between social and health services, partly justified, namely that you need a larger unit for health services, but you don’t necessarily need a larger unit for social services. There are no economies of scale in those social services, or the insurance aspect that is there. But after we have solved this mess, there are two other ones waiting for us. We have not yet agreed on funding, how to merge the different channels of funding, and how to prevent so-called CCPP game, communising costs/privatising profits game, so that you generate costs for other people that you are not responsible for, and that you make a profit out of. And another one, even more difficult, is the role of occupational health. Occupational health, as such, is all right, as long as it deals with employment-related issues. But right now, it’s playing the role of the health centres for those with a steady employment contract. How to make the system more fair, more comparable, and so that the amount of services provided, or the access to those services for those outside of the labour force and those inside of the labour force, would be more equal—it is an extremely difficult process. And this is so partly, or mainly, because that occupational health issue is negotiated between social partners, whereas these social health services are decided between municipalities and the state, in some kind of parliamentary process. As you know very well, in Finland, we have a long tradition to allow social partners to make their own decisions. So if we are making decisions at the same times in two different places without any coordination, we have serious problems!